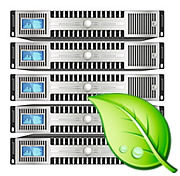 We have launched a new range of Green Dedicated Servers using energy efficient servers housed in our Solar Powered Data Centre, that runs on 100% Renewable Energy and Carbon Offset. As an introductory offer, we have a limited number of servers available at a reduced price of just £99.95 per month which includes 32GB or RAM and 2 x 480 GB Intel Sold State Drives (SSD) a saving of £74.90 per month over the standard price of £174.85 per month. ASP.NET Core 2.2 has been released this week and is available on all our Windows Server 2019 Web Hosting Packages and Reseller Web Hosting Packages. Web Wiz specialises in Green Web Hosting Services from our Energy Efficient Data Centre that is powered by our on-site Solar Panel Array. Web Wiz is pleased to announce the release of our updated Web Hosting and Reseller Web Hosting Packages based on the Windows Server 2019 platform. Windows Server 2019 with IIS 10 offers many new features and enhancements over previous versions including improved support for HTTP/2 and OCSP Stapling. HTTP/2 significantly speeds up the loading times of websites that use SSL/TLS. If you want to take advantage of the extra speed that HTTP/2 provides you will also need to have an SSL Certificate for your website, which Web Wiz are able to provide. At Web Wiz we are committed to cutting our carbon emissions and off-setting those carbon emissions that we cannot eliminate. While much of the electric power we use comes from our on-site Solar Panel Array we still need to use utility electricity at times. While our electricity provider uses only 100% Renewable Energy Sources, like everyone else in the UK our electricity comes from the National Grid which uses a mixture of renewable, nuclear, coal, and gas. We therefore still offset all the electricity that we use. For the 8th year, we have partnered with the World Land Trust through their Carbon Balanced Programme to offset our Carbon Emissions. For in-depth information on how our contributions help protect carbon-rich wildlife habitats, the World Land Trust has provided us with a Carbon Balanced Report.